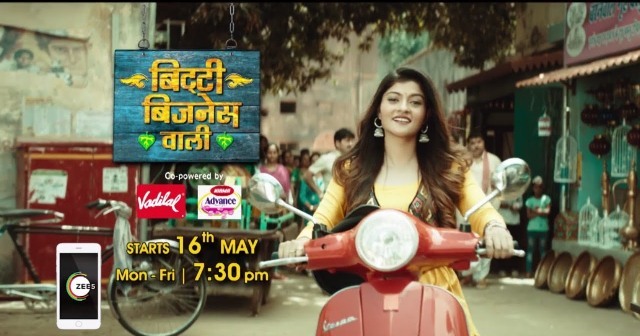 Synopsis: Bitti Businesswali is an upcoming drama TV show, which will be hitting the small screen of the popular channel &TV. The show is produced by Rakesh Paswan, while it will be a five day show airing at the prime time from Monday to Friday. The makers have released the promos, which seemed to be doing rounds over the social media thus garnering a good buzz for the same. The TV show has Prakruti Mishra as female lead and Abhishek Bajaj as male lead, while others include Kiran Bhargava, Neelima Parandekar, Preeti Mehra, Tarul Swami, and Waseem Mushtaq. The release date of the show is yet to be announced, while the makers have released the promos that are creating a good buzz in the media. Now talking about the plot of the TV show, it deals with a young lady who is seen winning her esteem and dignity with her financial freedom. The role of the lady is played by Prakruti Mishra which happens to be a lovely on-screen role and she is known to play such roles in the earlier times as well. Talking about the plot of the TV show, it happens to be appealing to the lead actors as well. As they have been going gaga about the show and they feel that every woman in this county are supposed to be told about this story. As per reports, the show would be replaced by the other called Half Marriage, which seems to be coming to an end soon. The star cast of the show seems to be interesting and the makers have taken all care to allocate the right roles to the right actors that can be called as the USP of the show. So, what do you have to say about this show, do let us know about the same and yes stay tuned to know more about it and others only with us, right!